Winter Honey Route and Bee Sales 2019! One of the best things about winter is that honey sells really well during cold snaps. I imagine it’s a combination of tea drinkers, bakers, winter weather pantry paranoia, and the general bounty of food that comes with the holidays and heavier meals during the winter season. 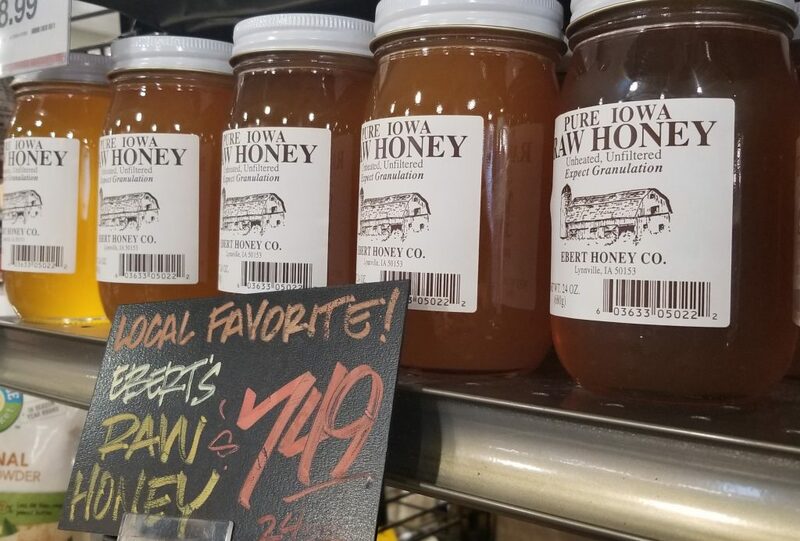 While the honey section doesn’t get hit as hard as the bread shelves leading into a forecasted snowfall, it is still a significant sales event. We’ve always directly distributed our honey, which has been important for being invested in the process, having a secure honey market, and cultivating the relationships that make it all work. Here is our end cap display in the Downtown Hy-Vee in Des Moines just a few days ago! Part of a Honey End Cap in a Hy-Vee Grocery Store! Raw Honey Galore!!! Package Cages Ready to Travel 2000 Miles and Back with Bees!!! The last several months have disappeared in a flash, and I presume the next several will prove similarly fleeting. At least it is a joyful adventure!